Usually, there's no finer book recommendation than that sweet phrase "I couldn't put it down." But let me recommend Philip Yancey's new book on prayer with the opposite, yet equally enthusiastic, encomium: one of the many small evidences of this book's forcefulness is the number of times I did put it down—the number of times I interrupted my reading because I was inspired to pray. I own and have read dozens, possibly hundreds, of books on prayer. A whole bookcase, right next to my desk, is filled with them: Dom Gregory Dix's The Shape of the Liturgy, Roberta Bondi's To Pray and to Love, F. D. Maurice's sermons on the Lord's Prayer… . Once upon a time I thought that my devotion to reading about prayer was a mark of my spiritual advancement. Eventually I came to realize my mistake: in fact, I love books on prayer not because I am uniquely prayerful, but because it is far, far easier to read about prayer than to actually pray. 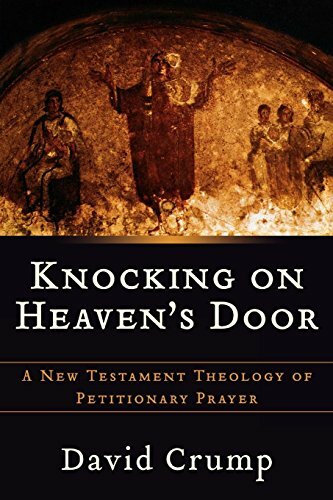 It is the rare book about prayer that, rather than inadvertently distracting me from the pursuit of a praying life, actually prompts me to pray. 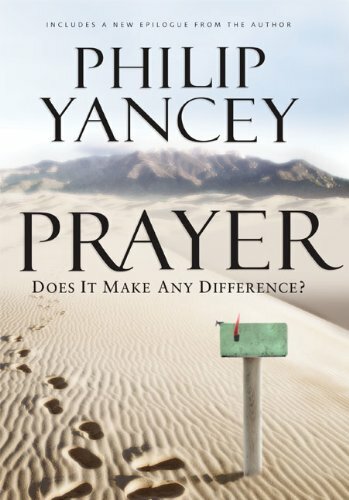 Yancey's Prayer is one such book, and I am grateful for it. Yancey freely airs his own struggles with praying. He marvels at friends who sit in meditative prayer for an hour a day, and admits that he can labor to pray for fifteen minutes. Characteristically, he tackles the hard questions, starting with the toughest: does prayer make any difference? Yancey's answer is a resounding yes. He notes both that prayer can change the person praying, making her more compassionate or more attentive or more humane, and that prayer can affect the course of human events. In particular, Yancey singles out the downfall of Communism and the end of apartheid as political transformations in which he believes "prayer played a crucial role."